Rabbi Avi Shafran, spokesman for Agudath Israel of America, has written an extraordinary article in Tablet magazine against evolution, entitled "Skeptical About Evolution—And Not Because of Religion." The thrust of his article is to attempt to reverse the terminology commonly used in describing the differences between rationalists and fundamentalists. Rabbi Shafran seeks the coveted title of skeptic, which he uses to describe himself with regard to evolution. And he tries to describe scientific and non-charedi culture as religious fundamentalists, speaking about the "high priests of Scientism," the "masses that venerate them," and claiming that as a "real heretic" with regard to evolution, he will earn "derision and ridicule" and suffer "effective excommunication from polite society" for doubting a "deeply entrenched orthodoxy." However, Rabbi Shafran is neither skeptic nor heretic. His discussion of evolution is utterly muddled, mixing together three topics - the origins of the very first life form, the common ancestry of all animal life, and the mechanisms of evolution. Yet these three issues are entirely separate. With regard to the first topic - the origin of life - most scientists freely admit that we know very little about it, and one is certainly not ridiculed or excommunicated for observing this. Similarly, with regard to the third topic - the mechanisms of evolution - most scientists freely admit that we still have oodles to learn about it. But with regard to the second topic - the common ancestry of all animal life - there is an overwhelming convergence of evidence from many different areas, including the fossil record, the pattern of homologous versus analogous similarities, the nested hierarchy of the animal kingdom, vestigial limbs, and much more. Rabbi Shafran does not counter any of these. Even advocates of Intelligent Design do not challenge this. So, yes, if you publicly dismiss all of this without presenting any counter-arguments and apparently without even understanding it, then you are not going to be taken seriously by the scientific community, and you probably indeed deserve "derision and ridicule." It's like challenging the historicity of the moon landing - you're not a heretic, you're an idiot. And throwing out muddled objections to evolution does not make one a skeptic. Rabbi Shafran believes that his objections are scientific rather than religious, and so did I, when I used to be anti-evolution. But has Rabbi Shafran applied his professed "critical thinking" to the alternate understanding of life's development that is taught in his circles? Does he really think that the available physical evidence better supports the notion that whales were created independently, with striking internal similarities to terrestrial mammals, and an inability to breathe underwater like fish, and following a whole chain of extinct creatures that were progressively less terrestrial, rather than indicating that they are actually descended from terrestrial mammals? Rabbi Shafran has not applied critical thinking to theories of life's development - he is simply taking sides in a perceived socio-cultural battle and relishing an opportunity to mock non-charedi society. Despite Rabbi Shafran's attempts to portray the scientific community and its followers as religious fanatics who excommunicate those heretics that challenge scientific orthodoxy, this is hardly an accurate description. First of all, as noted, he has mixed up different aspects of evolution. Second, did he not just publish an article critiquing evolution in the non-religious Tablet magazine? Would the publications of his employer, Agudath Israel, include an article arguing in favor of evolution? Arguing against deeply entrenched orthodoxies and criticizing high priests only gets you excommunicated from charedi society. As usual, Rabbi Shafran gets things exactly backwards. R' Shafran's article was extremely weak -- not only in the conflation of origins-of-life and common descent that R' Slifkin mentions, but even more so in his skepticism about "speciation", which he neither defines or nor even seems to understand. In claiming that his objections to "evolution" are not religious, he quotes the now-famous (at least around these parts) statement of R' Hirsch allowing for evolution within a Torah worldview. So, apparently, how we should view "evolution" is essentially orthogonal to Judaism. Why doesn't this rabbi's discussion of the issue in a Jewish magazine just end there? What about the positive that he endorsed Rabbi Hirsch's position, effectively vindicating you against all those who banned your books! This is a huge breakthrough! His point about Scientism being a religion of its own is valid despite his lack of scientific knowledge. Try to publish a paper in a major scientific journal that contradicts the ikkarei enumah of climate change, for example (I believe with perfect faith that the Earth is warming, that warming is bad, that it's entirely due to human activity and that only by crippling Western (but not Asian or African) economies will we be able to reverse it) and you'll soon find out that the highest echelons of science are just as closed minded as "the Gedolim"
Garnel: I think "climate change" is the exception that proves the rule. Well, maybe that and racial and intelligence matters. You might want to think more deeply about this one, IMO. Oh please, I thought that Shafran's understanding of the scientific process was juvenile enough but you are just spouting more nonsense. Science overturns established dogma when the evidence warrants it. But the more evidence there is, the more difficult it is to overturn that dogma. That's the history of science. You implied that climate scientists actually have evidence that human activity has not affected climate change but can't get it published in major scientific journals because the peer review process is run by adherents of "scientism". I'm waiting for the evidence that this is the case so put up or shut up. I doubt that you have any, just as I am sure that you will continue to make the same baseless claims in the future. That's a fair point. However, I'm not sure one can compare the cliquish politics and often harsh nature of academics to "religious fundamentalists". I would argue that much of what is labeled as religious fundamentalism is the same internal politics that develops in any substantial peer group. The difference being a religious peer group makes the assertion that their stubborn adherence to set of ideas is divinely inspired and based upon the only correct interpretation of some set of writings from a distant past. From my perspective, the politics of science isn't comparable to religious fundamentalism. It's religious fundamentalism that is comparable to politics in general. What's claimed to be devotion is more the urge to be accepted in ones peer group. Some religious text to point to is just an excuse to rationalize being a lemming. Garnel gets it exactly right. Science is as much a religion as any of the older forms of religion, compete with dogmas and Inquisitors. Nachum, you say climate change and racial intelligence are two exceptions that prove the rule. Those are two pretty darn big exceptions, so much so that I would say they actually swallow the "rule'" (of the alleged scientific enterprise) and in fact, completely undermine it. And by no means are those the only examples. Surely you read of the JONAH case the other week, in which the Judge actually refused to allow the defendants' evidence, claiming the science was "settled". And there is nothing new under the sun. This was all described in the Structure of Scientific Revolutions, a long time ago. Until a new generation comes around, the old generation will simply not accept - will simply not even see - any evidence to the contrary. The book even describes the derision scientists give to dissenters, up and until the time when the dissenting view becomes the orthodoxy. Until that time, "they're not heretics, they're idiots." What's amazing to me is that our host Natan Slifkin doesn't see this. Fifteen years ago, had he been confronted with all the evidence he now quotes, he would have had no trouble distinguishing or dismissing them. Why, then, is so sure that another fifteen years hence he won't experience yet another change of heart, thinking that his beliefs of 15 years ago are as wrong as those of 30 years ago? Nachum, I have to agree with DF's logic – you can't deny the reality of global warming without losing respect for empirical science. As it happens, both NASA and NOAA have published monthly temperature data through the first half of 2015, and to date this year is well on its way to breaking last year's record as the hottest globally in hundreds, maybe thousands of years. 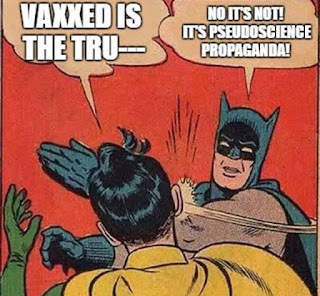 Which does not prevent them from brainwashing public with their theories presented as facts, and then quietly replacing them with new ones as it happened with electrical discharges into chemical soup. ... the mechanisms of evolution - most scientists freely admit that we still have oodles to learn about it. I'd love to see these "most scientists", I mean those who would not mumble about random mutation and natural selection. Only if you are want to interpret the experimental findings the way you want. Otherwise, genetic similarity and all other things can only point to the single Master. Thanks for this post; I found Shafran's article infuriatingly juvenile and way beneath the Tablet's usual high quality. If Rabbi Shafran is so anti-evolutionist, how does he explain the wide variety of races of man? If you are a fundementalist in your belief in the creation of Adam & Eve, how does he acount for the the facial and color diferences between the black, caucasian, chinese, japanese, korean etc. races? Can someone explain how they can rationalize this and still be expected to be taken seriously other matters? Abe, there is microevolution (on the species level) and alleged macroevolution (from one species to another). Nobody is disputing the former (dog can evolve into a dog, cat evolve into a cat, etc) If I am recalling correct, it was Hillel who >2K years ago explained why different races have different look. "Microevolution" and "macroevolution" are carried out by the same mechanisms - mutation and natural selection. They are one and the same. There is no way to separate the two. Except, microevolution is observed and macroevolution is belief. Is it belief that shows that countless species simply do not occur in the fossil record until a particular epoch? Where did those new species come from? Do you actually believe that all species were created at one time and everything is just a case of microevolution? Have you ever read a scientific book that explains why macro evolution is the accepted mechanism for speciation? You claim makes me doubt this so I will recommend "Evolution: What the Fossils Say and Why It Matters" by Donald Prothero. If the rabbis would have differentiated between interspecies and intraspecies evolution would you still have found their responses ridiculous? Your question also makes the assumption of uniformitarianism. If that’s negotiable try the alternative. You can also check out the last chapter in Lee Spetner’s “Not by Chance” for a response. Microevolution is what fraction of macroevolution? 'But with regard to the second topic - the common ancestry of all animal life - there is an overwhelming convergence of evidence from many different areas, including the fossil record, the pattern of homologous versus analogous similarities, the nested hierarchy of the animal kingdom, vestigial limbs, and much more. Rabbi Shafran does not counter any of these. Even advocates of Intelligent Design do not challenge this." This is not true. Some, like Michael Behe, accept common descent, others do not. David Berlinski, Stephen Meyer, Jonathan Wells and others have each taken on (in my opinion successfully so) the fossil record, homology, nested hierarchy, vestigial limbs and more. [for the record, David Berlinski doesn't really fall into the Intelligent Design campaign, but as a a fierce (agnostic) critic of evolutionary theory he has found himself aligned with them]. For me personally, the only convincing piece of evidence I have ever heard that some sort of naturalistic process is at play comes from Sean Carrol when he talks about the development of limbs over time in the fossil record. I think Miller's point about a succession of types over time also interesting, but not on the same level as Carrol's point. If you wish to argue there is "an overwhelming convergence of evidence from many different areas" pointing towards common descent, then please address the numerous objections that have been raised against them and explain why you think the evidence is convincing despite those objections. A mere list of names without taking into account the objections raised does not make a solid argument. But hasn't the work of people like Meyer and Wells already been roundly debunked? In the introduction to “Uncommon Dissent”, Bill Dembsky debunks your argument with a scene from Marx Brothers’ Duck Soup. Without addressing the specifics of this particular case, I have noticed over the years that there can be a sort of fanaticism among supposedly unbiased, disinterested scientists as well. I therefore am far less inclined to trust so-called objective academics than I once was. In terms of whale evolution, the issue (as far as the theory of evolution is concerned) is not whether it is better or worse than an alternative explanation, but whether or not there is any reason to take the idea seriously. A scientific theory stands on the quality of the evidence in its favor, not on the weakness (or supposed weakness) of an alternative idea. At the end I throw in a clip from some interviews taken with Phil Gingerich concerning the "transitional" whale fossils he found. I do not know if there is other material edited out of the interview, but nonetheless what he has to say is noteworthy. "the issue (as far as the theory of evolution is concerned) is not whether it is better or worse than an alternative explanation, but whether or not there is any reason to take the idea seriously." No. If Rabbi Shafran is going to present himself as someone with intelligent and critical views, then he has to be equal. Every complicated scientific theory is going to have its kinks. Fun a kashya man shtarbt nisht! The question is whether the evidence better supports common ancestry or special creation. Fun a kashya man shtarbt nisht - I never imagined I'd ever see that used in support of evolution. Takah a pelah! "The question is whether the evidence better supports common ancestry or special creation." If the theory of evolution can't stand on its own scientific feet, then whether or not it 'better' supports common ancestry than 'special creation' is irrelevant. We didn't accept the theory of relativity, quantum theory, the structure of DNA and more because they fared better than alternative theories or ideas. We accepted them because of their own, internal intellectual and scientific strengths. If common ancestry is unable to account for, explain and/or fit with what we observe in the fossil record and in the cell then it does not matter how it compares to special creation. By the same token, 'special creation' does not magically become accepted if common ancestry fails as an explanation of the evidence. Each theory and idea has to stand on its own feet, and not use the failings or shortcomings of another idea to prop it up. This is a bit of a curious statement to me. I would instead say that scientific ideas gain their intellectual and scientific strength precisely because they fare better than alternative theories. Rabbi Shafran writes: 'In fact, larger surprises, leading to substantive revisions in the study of evolution are the rule rather than the exception. From Lamarckism to classical natural selection to Darwinism to the Modern Synthesis, evolution theory, well, evolves'. Does he not recognise that this itself renders his comparison of scientific knowledge with religious dogma invalid - science requires ideas be tested and survive or fail based on their performance, whereas religious orthodoxy is by its nature unresponsive to reality. With regard to evolution theory, scientists are trying to fit facts into their belief in evolution and common ancestry. And when their explanation falls apart they invent a different one to support their evolution dogma. Lazar, do you realize how funny you sound when you display a complete lack of self-awareness? What, you think that religious anti-evolutionists just draw their conclusions here from the evidence, and aren't trying to fit things into their beliefs and dogmas? Nachum - how is mezizah b'feh relevant here? Lazar, to even suggest that scientists try to fit evidence into existing pre-held beliefs display s your monumental ignorance in experimental technique. The exact opposite of your accusation is the accepted practice with double blinds and, upon obtaining new evidence, attempting to use it to disprove the accepted theory rather than to corroborate it. This is the principle that ensures scientific progression through disproving its own theories and accepting fallibility. L With regard to evolution theory, scientists are trying to fit facts into their belief in evolution and common ancestry. NS What, you think that religious anti-evolutionists just draw their conclusions here from the evidence, and aren't trying to fit things into their beliefs and dogmas? Maybe they are too, but scientists claim that science is about evidence and not about beliefs. Moe, it's based on science of thousands of years ago. Strongly disagree. While R. Shafran's presentation of the science details is a mess, the discussion of the Religion of Sciencism is spot on. Having grown up in this religion and having many family members who are practitioners, it is indeed an extremely dogmatic "we clearly understand it all and own the truth" theology. 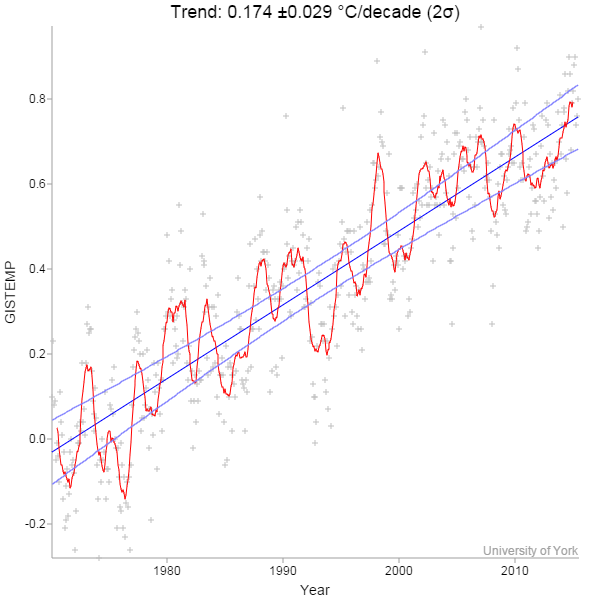 As an example, take a look at the Global Warming discussions. Scientists who don't agree are heretics, facts and data are manipulated to fit the details of the theory, objectors are excommunicated (research de-funded and have their papers rejected from publishing). On this point R. Shafran hit the nail on the head. Last time I checked one doesn't ask a podiatrist whats wrong with his heart. The same is true about climate change just because someone has tge title scientist doesnt mean its his speciality. Many scientists which if you checked what they specialize in you would laugh when you find out they weigh in on climatology! "Last time I checked one doesn't ask a podiatrist whats wrong with his heart"
I was waiting for your response to this. Well done. "So a haredi leader revered by haredi Jews today had, at least in theory, no essential religious objection to speciation." First, as pointed out above, that might as well end his article. After all, if it's OK religiously, and Shafran is not a scientist, who cares what he has to say? But that's not the funny part: The part about R' Hirsch being revered by haredim is definitely true. (At least officially; I'm sure that most haredim, especially in Israel, think he was a bit krum at best.) But that's because, as reflected in this sentence, they bizarrely think he was a haredi, and have thus kashered him. And while R' Hirsch may have been many things, he was definitely not a haredi. For one, haredim didn't exist back then; for another, R' Hirsch despised their forerunners. Most importantly, of course, almost all of R' Hirsch's entire philosophy was quite un-haredi. The sad thing is, Shafran may very well believe his own lie here, which is perhaps why he's able to drop it so casually and confidently. Funny story: Back when I was in the fourth grade or so, my rebbe had a lot of gedolim pictures put out by the Agudah on the wall. Almost all had been affiliated with the Agudah in one way or another, and so dated to 1920 or so at the earliest. However, first, chronologically, was R' Hirsch. The legend on the back of the card said who he was, and ended, "Forerunner of Agudath Israel." I was only nine, but could see very well that he had, at the very least, died forty years before the Agudah came into existence, and I knew nonsense when I saw it. "After all, if it's OK religiously, and Shafran is not a scientist, who cares what he has to say?" I sense that you're heading down a dark path here. Is R' Slifkin a scientist? Is R' Meiselman a scientist? We like to check everyone's card at the door to make sure that only philosophers sit at the philosopher's table, but if someone demonstrates capabilities and sometimes even mastery of arguing both for their position and against opposing positions, who really cares whether they are formally trained or not? He's claiming to offer an expert opinion in a field in which he had no training that contradicts what everyone in the field says. He's free to do so, and we are free to ignore him. But even if we don't, he's not bringing anything new here. And philosophy is not science. Rav Hirsch's successor in Frankfurt, his son-in-law Rav Breuer, was one of the founders of Agudah, and I believe a large part of his interest in the Agudah was based on Rav Hirsch's philosophy of Orthodox independence. So it might not be so ridiculous to call Rav Hirsch a forerunner of Agudah. In 1885 Rabbi Hirsch founded the Orthodox Union (Freie Vereinigung) to do the same work that would later be done by the Agudah. After his death in 1888 his son Dr. Naphtali headed it. After his death in 1905 it was headed by Moreinu Jacob Rosenheim, a founder of Agudah. Another founder of Agudah (who I don’t believe lived to see it actually be founded, but who cares) Rabbi Isaac Halevi (author of Doros Rishonim) conceived of the idea that the Freie Vereinigung should be the nucleus of a world organization – Agudath Israel. Jacob Rosenheim said, “The Freie Vereinigung was the bud from which first blossomed the Agudath Israel organization and movement”. At the Freie Vereinigung’s 1908 convention the idea of an international organization which later became Agudah was proposed. So Agudah is just Hirsch’es Freie Vereinigung internationalized. @Lazar Only if you are want to interpret the experimental findings the way you want. Otherwise, genetic similarity and all other things can only point to the single Master. Does the genetic similarity between you and your parents point to the single Master. It is OK if the answer is yes, but then your comment really has nothing to do with evolution. @Abe If Rabbi Shafran is so anti-evolutionist, how does he explain the wide variety of races of man? Dor Hapalga. Setting aside science and deeper meanings in the Torah, isn't the surface meaning of that story about explaining how we get to multiple peoples and cultures from a single starting point? @Moshe Furthermore, you once again only present evidence without noting any of the criticism of that evidence. The questions asked on that website are pretty silly. The fact that we don't know exactly what happened over Before they interviewed David Sweat and figured out how escaped from prison, did you think that God had simply teleported him out? What do you have to do from an engineering point of view to change the cow into a whale? This is crude, but it gives you the essential idea. ... The skin has to change completely, it has to become impermeable to water. That’s one change. Breathing apparatus has to change. A diving apparatus has to be put in place. Lactation systems have to be designed. The eyes have to be protected. Hearing has to be altered. Salivary organs have to be changed. Feeding mechanisms have to be changed (after all a cow eats grass, a whale doesn’t). You are committing an elementary fallacy here. I'm not a whale, but most certainly can dive and swim in the ocean for some time without changes to my skin or "breathing apparatus" and there are some cultures that depend on such diving. Evolution doesn't require any massive change in one step. It only requires gradual changes that can be achieved and of the sort that we have observed. The chain of "intermediates" are the clinching evidence that this did really happen. (They are not really intermediates, but good enough for our conversation). Moreover his account of the history of science is seriously flawed. Darwin provided the first scientific theory and it stand until today. Likewise he writes: "What I suspect is that, just as classical physics was usurped after centuries by relativity and quantum physics, the current understanding of the ecosystem may one day experience its own shift of paradigm." Classical physics is still a valid if incomplete description of reality that works just fine in our everyday world and is still taught in all Physics 101 classes. If a cook is French it is not an evidence that all French are cooks. If offsprings have genetic similarity with parents it is not necessarily an evidence that different species with genetic similarity share common ancestry, unless one wants to see it this way. It can equally be an evidence of the Creator because of the similar building blocks. Or let me put it this way. We can observe that species produce offspring of the same species with genetic similarity. Therefore genetic similarity of different members of the same species can be an evidence that they are related. Nobody ever observed transformation of one species into a substantial different one. Therefore genetic similarity between substantially different species is not necessarily an evidence of their common ancestry. "You are committing an elementary fallacy here. I'm not a whale, but most certainly can dive and swim in the ocean for some time without changes to my skin or "breathing apparatus" and there are some cultures that depend on such diving. Evolution doesn't require any massive change in one step. It only requires gradual changes that can be achieved and of the sort that we have observed. The chain of "intermediates" are the clinching evidence that this did really happen. (They are not really intermediates, but good enough for our conversation)." You have misunderstood David Berlinski's argument. I would recommend that you watch all of the video clips in order to understand the context --- which is whether or not there is fossil evidence for whale evolution. David Berlinski's point is that to go from a dog-like mammal to a sea-going whale would require an enormous number of intermediate steps. Based on that fact (and the step-by-step process of Darwinian evolution) we can ask how many transitional fossils would we EXPECT to see in the fossil record and COMPARE that expectation to the handful of fossils that are proposed as transitional fossils. If our expectation is high (thousands or tens of thousands of transitional fossils) and all that we have come up with are 5 or 6, then we need to relate to the fact that the evidence did not meet our expectations. Now, perhaps there is an explanation for why the evidence comes short, but FIRST we need to make the CALCULATED PREDICTION, then we need to COMPARE our calculation to the actual results and only then can we analyze the evidence. What the exchanges between Dr. Berlinski and Eugene Scott/Professor Miller show is that they (Scott and Miller) hadn't even considered the need for considering what the evidence should be SOMETHING LIKE DARWINIAN MECHANISMS ARE TRUE. What's more, they kept avoiding his question (talking about genetic changes when he REPEATEDLY talked about morphological and physiological changes). Lazar, you just changed your argument from "genetic similarity and all other things can only point to the single Master." to "genetic similarity between substantially different species is not necessarily an evidence of their common ancestry". You also mention a "building block" theory: they were all indepedently built but by the same builder so that they use the same block. This is really a weak analogy and not a true theory, but even so, it doesn't really provide an explanation. Why is it that the block were put together over time in such a way that similar species were created close to each other in time? You are drawing a line illogically. If an offspring can be claimed a relation of its parents based on genetic similarity, then members of different species can claim a common ancestor based on the same evidence. Species are a human concept to begin with. Sure, the common house cat shares very few similarities to the appearance of humans, but biologically, they are quite close. Most physical features are not preserved in fossils. One would not expect changes in skin or breathing mechanisms to be visible in the fossil record. The genetic differences between whales and related mammals are consistent with the adaptations undergone by whales and the ancestors of whales. The basis of scientific knowledge is observation of the world, combined with reason. God created the world, and also gave Torah. Is it not incumbent on us to take both of these revelations seriously? Torah was created to go with this world. Unlike most other religions Judaism is not a religion that rejects "this world" or requires us to be monks (which does not depend on martital status! ), despite the distortions to Jewish culture from being in galus Edom that have led us to let such narrow-mindedness (and closed eye-edness) seep into the Torah world where it does not belong. > God created the world, and also gave Torah. Is it not incumbent on us to take both of these revelations seriously? So which one was He lying in? Or to put it a different way, which one should we reinterpret to fit with the other? We tend to reinterpret the Torah to fit the world. Chareidim tend to reinterpret the world to fit with the Torah. I'd say the trouble with this perspective -- and it's nice as a starting point -- is that it's impractical and cannot be applied in a predictable and reliable fashion. Science is governed by observation, and while politics and bias are necessarily going to play a role (because science and its endeavors cannot and do not exist in a vacuum), they are appendages rather than essence. And they are transformable, and time has shown this to be the case. With greater and lesser pressure, the politics and biases have waxed and waned. But Judaism is governed by the governors. And as there are no true universal authorities anymore -- no Moses and no Joshua -- and no direct transmission of what Judaism maintains as the source of information, it's really a shouting match. Whoever shouts louder wins. Whoever whips people into a greater frenzy to support their position or cause, that's who wins. Whereas science at its heart makes belief irrelevant (the data supports or fails to support), Judaism is all about belief. And because these beliefs are not truly organic, but rather induces by education or lack of education, etc., it's not entirely objective that the things you just said are true. Take the abortion debate, for example. What is your position on it? Well, an observant Jew will probably not take a position, but rather supplant it with whatever their rabbi says about it. or his rabbi's rabbi, etc. Politics is heavily dependent on religion here because the Christians hold a tremendous majority in US politics. But from a Jewish perspective, the Christians have got it all wrong. They should also be asking the rabbi, but they are not. To conclude, your seemingly objective statements are rather unacceptable to some people, even if you don't see it as such. Some philosophers speak of a 'God of the gaps', which is to say a conception of the supernatural which sees it as necessarily implicated in any phenomenon that reason or science cannot at the time explain, thus rendering all such phenomena proof of the supernatural. Whilst philosophy nerds will recognise this as merely a manifestation of petitio principii and ignotum per ignotius, it seems to be a major fallacy in R. Shafran's article. "I'm not so sanguine as some of my colleagues here," (Venter) said, "that there's only one life form on this planet. We have a lot of different types of metabolism, different organisms. I wouldn't call you [Venter said, turning to physicist Paul Davies, on his right] the same life form as the one we have that lives in pH 12 base, that would dissolve your skin if we dropped you in it." "Well, I've got the same genetic code," said Davies. "We'll have a common ancestor." Here Davies, a bit alarmed, interrupts Venter: "But you're not saying it [i.e., Mycoplasma] belongs to a different tree of life from me, are you?" "The tree of life is an artifact of some early scientific studies that aren't really holding up...So there is not a tree of life." "I'm intrigued," says Dawkins (a bit later in the discussion) , "at Craig saying that the tree of life is a fiction. I mean...the DNA code of all creatures that have ever been looked at is all but identical." "Surely that means," he asks Venter, "that they're all related? Doesn't it?" As nearly as we can tell from the video, Venter only smiles. Rav Slifkin, the thesis in your article is quite well put. about his book "Jewthink" (which I perused back when I was growing up in Baltimore). (which begins with a reference to "the renewed controversy over the banning of Rabbi Nosson Slifkin and his works"). However, as you, Rav Slifkin, have pointed out, someone who writes for the non-rationalist Judaism audience is mostly trying to ensure that his "home" audience stays "within the pale", and will be unlikely to approve of your theses, and should probably simply not read your blog nor argue with it (nor with other rationlist-type scholarship as Rabbi Shafran, nonetheless, does). So I would rather leave Rabbi Shafran with his own "home" audience than try to fathom his somewhat comical attempts to demonstrate that he is actually writing for some other audience. Nothing I have said above is original, but I simply felt like reminding us all of this, and keeping us aware that within his own "element" Rabbi Shafran is a respectable Jew who is entitled to believe whatever he wants (and, as I noted above, none, or very little, of what he writes about actually touches upon articles of faith in Judaism). It seems to me that the argument of evolution vs creation isn't / shouldn't be about evidence vs belief. It's rather about the implication of these ideas. The most obvious idea of evolution is survival of the fittest. You don't have to be a scientist to realize that it works. Just observe two chickens fighting, and see how many eggs each lays (I have actually done this observation - my more aggressive chicken definitely lays more! - I believe it's because she gets more access to food as well as winner hormones.) Yes, the overwhelming evidence is available, not only to scientists, that those who're fit survive and leave more offspring, and those who're less fit leave less offspring. I think the ancient Greeks and Romans understood it without studying science. What I'm not comfortable with is the implication of this idea vs the idea of creation. That's why I'm not sure which side of the argument to support. While all evidence points towards evolution, I find it very uncomfortable to accept it. Because the bottom line is, when push comes to shove, will one choose physical survival or moral principles? I think ones belief may be the deciding factor. The most obvious idea of evolution is survival of the fittest. You don't have to be a scientist to realize that it works. Just observe two chickens fighting, and see how many eggs each lays (I have actually done this observation - my more aggressive chicken definitely lays more! - I believe it's because she gets more access to food as well as winner hormones.) [...] Survival of the fittest (at least what a regular person gets to observe) implies a need to be aggressive and assertive, and these concerns could easily override moral concerns (a chicken who thinks too much before she fights wouldn't be in the best position to survive in the coop). Moshe, I think that you might want to study up a bit on evolution, because that isn't how it works. There is no inherent preference for aggressive behavior. Those genes that confer a survival and reproductive advantage, in whatever manner, are preferentially selected. This can be through better cooperation. Think of bees and ants. In addition, a scientific theory doesn't have analogous moral implications. Evolution by natural selection provides no more justification for immoral behavior than the fact that stars are are powered by fusion supports the notion that we should set off thermonuclear bombs upon our enemies. Evolution may not provide moral justification for anything, but does it provide moral impetus to do good? Certainly not as much as the stories of Breishit. Evolution and "survival of the fittest" are not the same thing. Evolution refers to the cumulative changes in a population or species through time. "Survival of the fittest" is a popular term that refers to the process of natural selection, a mechanism that drives evolutionary change. Natural selection works by giving individuals who are better adapted to a given set of environmental conditions an advantage over those that are not as well adapted. Survival of the fittest usually makes one think of the biggest, strongest, or smartest individuals being the winners, but in a biological sense, evolutionary fitness refers to the ability to survive and reproduce in a particular environment. Popular interpretations of "survival of the fittest" typically ignore the importance of both reproduction and cooperation. To survive but not pass on one's genes to the next generation is to be biologically unfit. And many organisms are the "fittest" because they cooperate with other organisms, rather than competing with them. Ahh, yes, survival of the fittest. Survival of the fittest explains more complexity, and more simplicity. It explains why flight arose in some birds, but was lost in others. With it, organs and genomes can become more complicated, or more streamlined. Eyes emerge through it, but eyes are also lost by it. It makes the cheetah fast but the sloth slow. By it, dinosaurs grow to skyscraper size, and hummingbirds grow tiny. With it, peacocks grow more flashy and crows more black, giraffes tall and flatworms flat. It explains predator and prey, loner and herder, light and dark, high and low, fast and slow, profligacy and stinginess, terrorism and altruism, religion and atheism, virtue and selfishness, psychosis and reason, extinction and fecundity, war and peace. It explains everything. Your explanation makes it sound as if natural selection is a directed process. It's not. Genes change from generation to generation. Any time a cell or organism reproduces, the reproduction will have genetic differences. Sometimes the differences are detrimental to the organism, and the organism fails to survive. Sometimes the differences are beneficial or neutral, and they are, in turn, copied to the next generation. Natural selection is how we explain how genetic changes propagate. It doesn't explain why, nor is it process that triggers anything. It's an observation of what happens. Survival of the fittest explains more complexity, and more simplicity. It explains why flight arose in some birds, but was lost in others. ... It explains everything. I assume that you meant to attack natural selection by saying that since it explains "everything", then it must also explain nothing. The easiest way to see why your argument is invalid is by via a parallel. Gravity explains why some things go up and some things go down. It explains why something revolve in a circle, others in an ellipse, and yet others on a hyperbolic path. It explains why large bodies are spherical, but small bodies may not be. It explains why stars shine and why space is warped. Getting back to natural selection, it says that genes that promote survival and reproduction for that organism in that environment. So yes, sometimes it is better to be big and sometimes it is better to be small. It all depends on the niche. Plus you added some things onto the list that likely have nothing to do with natural selection. Natural selection does not depend on the theories of evolutionary psychology. Not to disagree, but Ramban says the whole point of the book of Bereishis is “survival of the fittest” of a different kind. The Torah should have begun at Parshas Hachodesh. The book of Bereishis is here only to teach that sinners such as of the flood and Sodom and Egypt are unfit and won’t survive while those righteous like the Avos are fit to survive and even flourish. If not for this lesson all Bereishis could have been skipped. In his youtube debate with Dawkins Rabbi Sacks says that this is also the lesson of the splitting of the sea. Similarly, with regard to the third topic - the mechanisms of evolution - most scientists freely admit that we still have oodles to learn about it. I would not be so sanguine about this. I believe that it is universally accepted that small mutation in the genetic sequence is accepted as being the mechanism that produces phenotypic alterations. While under stable environmental conditions these small changes may either have no survival effect or even be deleterious, as the environment changes these phenotypes may actually bestow specific survival benefits, leading to survival of the fittest. More recently, as we begin to unravel the genetics of gene regulation - the regulation of the conditions under which proteins are expressed - we are beginning to understand how mutations in the genome alter gene expression. So changes in genotype need not only alter protein sequence, but also alter when and how well they are expressed. There was a Scientific American article many years ago that described a the insertion of multiple repeats of a specific regulatory gene that resulted in higher expression of a specific protein. The protein was responsible for causing the development of the many convolutions in the brain, a necessary adaptation to allow for large numbers of neurons that underlie our intelligence. The point is that small drift in genomic sequence, not just in genes themselves is, as far as I can tell, the underlying mechanism for change in phenotype. Our understanding of gene regulation is providing important insights that explain not just what the gene is (gene expression) but how it is regulated (when is it expressed). Small mutations and environmental change, coupled together are the underlying mechanism that drive evolution. This is not controversial (amongst scientist). What is so frustrating about Rabbi Shafran's article and much is this thread is the fallacy that there is an equivalency between scientific and non-scientific theories. What those in the non-scientific camp don't seem to get is that scientists can not be fundamentalists about their ideas because they simply use a different methodology to ascertain those ideas. You can disagree with a scientist, but not because you have simply made up your theory from whole cloth. Moshe, your focus on 'survival of the fittest' is misplaced. While this notion has predictive value in accounting for the reproductive success of certain members of a species, it has little success in accounting for the chain of life in the geological record. As an example, dinosaurs ruled the planet for over 130 million years. They could certainly have been called the fittest land species. Yet they vanished rather suddenly 66 million years ago. The cause of their extinction was the massive asteroidal impact which rained incandescent droplets of molten target rock across a large swath of the planet. Those droplets roasted the large creatures who had no place to hide. Dinosaurs who survived that fiery rain were subjected to world-wide fires from the same ruinous rain. Then the opaque debris cloud cast the earth into darkness for a significant time so that plant life died. The surviving herbivorous dinosaurs starved as did the carnivorous ones who preyed upon them (they were not scavengers). The lesson from this established scenario is that 'fitness' under one set of conditions is no guarantee for survival if conditions change radically. The physical key to survival is, then, adaptability rather than aggression. Nor are people like your chickens. Aggressive individuals generate enemies who will likely overpower the aggressive ones in the course of time. In any case, the message of the torah is to live a moral life, a message that is not contradicted by evolution. For a fascinating discussion on whether or not the Torah is in fact driven by morality and how such a thing is defined, jump on over to DovBear's blog and check out the recent posts on Parshas Matos and the many comments. My two cents is that the concept of Judaism's goal being to demand us to be moral, is incorrect. The goal is clearly to keep the commandments. What the purpose of those commandments are is the subject of great debate ranging from the service of God, perfection of man, redemption of the world, unknowable, and some combination of the above. To claim, willy nilly, that morality is the goal of Torah is simplistic, and creates many more problems than it solves. EtheP, my brief statement about the message of the torah was not intended as an intellectual argument. It was just to dissociate that message from what some would glean from nature. That message, as I understand it - despite the complication of some competing but temporary priorities, is that we are all considered to be the descendants of Adam to whom a soul was imparted. We are, therefore, not merely natural creatures, but men who must rise above or redirect natural impulses. Similarly, we are not intended to be automatons who just follow orders, i.e. mitzvot, but are to be thinking and feeling beings. All of this is far removed from Darwinian evolution, much less Social Darwinism. Aryeh Baer, the aggadic story of Hillel is out of place here. Such is his response to a foolish person, wishing to "convert while standing on one foot". While Shammai has no time for insolence, Hillel prefers to answer with compassion and does so, despite the fact that he does not accept the fool's conversion . Rather, he responds the same way as Shammai, but without the anger, i.e. he gives him a summary of the 7 Mitzvos bnei Noach and sends him on his way. Y. Aharon, evolution is either a fact or not, and it's implications are real despite any message supposedly taught in the Torah.You are correct though in understanding the demand of the Torah - to dedicate one's life to the service of God - as being unnatural. Naturally, man is a part of nature and as such has as his most basic drive, the will to survive. The submission of man to any value that has no survival benifit, and especially one which may demand the loss of one's life, is inherently unnatural. There is no greater example of such a value than the service of God. Keeping Mitzvot does not guarantee one a longer, more prosperous, or more pleasurable life (although many people must believe they will in order to keep them). If anything, it may demand the sacrifice of pleasure, wealth and even one's very life. Evolution is a fact of nature, religion is the rejection of turning that natural fact into a virtue. While there is still oodles to discover about how life began, it is becoming increasingly clear that it was not a result of accidental combinations of particles in a primordial soup. Simply put, the "alphabet soup " theory is on its way out. I have a relative who has shown (yet to be published) how it may have begun, including protein formation, dextro and levo, and the like. Although this is not my field, it is obvious to me that over time, the missing pieces in evolutionary theory are slowly starting to appear. In the end, the puzzle may look quite different than current science expects, but when the pieces are in place, the puzzle will become current , and accepted, science. It is a fascinating, though complex, area, and touches on a lot of very subtle chemical effects. You are indeed correct that there is new literature in the area all the time. R' Avi Shafran ends his article with, "I will proclaim the words of a famous man who once wrote that “it is always advisable,” when dealing with things beyond our immediate experience, “to perceive clearly our ignorance.” His name was Charles Darwin." Too bad he totally disregarded that sage advice in writing his essay which takes the form of the venting of a shallow skeptic. It is more than shallowness, however, it is dishonest - as if he would take such a stance if it weren't a seeming requirement in his religious circles. He proclaims that no one seeks anymore to achieve the most primitive life form from non-living matter, indicating that it's a hopeless task. While abiogenetics may not be a hot topic in biological research due to its difficulty, it does have its practitioners. He thinks that it strains credulity that one primitive cell with basic life functions could have arisen from some collection of non-living raw materials to generate the millions of species found today. Well, of course, we are some 3 and half billion years from that first cell (prokaryotic) and over 2 billion years from the first complex (eukaryotic) cell. How that first primitive cell came into being is still a mystery. The raw materials were available on earth as the products of high-energy (lightning and unfiltered solar ultra-violet rays) initiated reactions of the earth's early atmosphere and catalyzed reactions in the earth and on the seabed - if not also delivered from space by comets and meteorites. The issue is the conditions and mechanisms for assembling the right raw materials into a complex molecule such as an RNA oligomer (short polymer) with much of the functions of living matter including the catalyzed and directed synthesis of proteins. In any case, that basic life function featured the organization of 4 organic molecules (the nitrogenous bases: adenine, thymine, guanine, and cytosine - in RNA, uracil replaces thymine) that coded for specific amino acids to generate specific proteins All of life features such a code (there are minor variations for some species). Moreover, all of life features amino acids with one optical configuration (L) and saccharides (sugar moieties) with the other configuration (D). Such uniformity bespeaks a common origin. The proliferation of life forms indicates the productivity of the evolutionary process rather than its impossibility. While abiogenetic research can still be regarded as being in some initial phase, some progress is being made in understanding the limitations of conjectured reactions More progress would be made if the funding for such work (the origin of life on earth) was at all comparable to that being spent or anticipated for seeking for life outside of this planet. Meanwhile, the frum skeptics can expound as they wish. One argument raised has some merit, however. It is proper for a thinking person to attempt a basic understanding of the issue rather than relying on the media or general impressions. Wikipedia articles on evolution and abiogenetics are a start. Rabbi Avi Shafran… has written an extraordinary article… The thrust of his article is to attempt to reverse the terminology …. Anti-evolution articles and books that accuse evolution of being a religion are a dime a dozen and often enough are spot on. One cute line (for Yankees) is “one nation under Darwin….” Caricatures of Darwin aren’t only his head on a monkey body but also with a halo on his head or priestly vestments for his clothing. Rabbi Shafran’s article isn’t as neutral as might seem. According to him religion is flexible. It gives a person the freedom to believe anything as long as he accepts the beginning is from the Creator. Non-religion is rigid. It forces a person to explain origins with evolution. “Darwin allowed a person to be an intellectually fulfilled atheist” (Dawkins). Busting evolution forces people who want to be intellectually fulfilled to accept religion. Hence Rabbi Shafran’s motive to write the article. Arguing against deeply entrenched orthodoxies and criticizing high priests only gets you excommunicated from charedi society. All kinds of faithful can be seen reacting vehemently to challengers. Here and here I bring more of that. The bottom line is that everyone has core beliefs that they tend to identify with to the point of vehemence. As long as they are exposed only to the like-minded this doesn’t show itself. The herd has little exposure so they delude themselves that they are clean of it. Then when someone presses the wrong buttons they might find out that they aren’t as tolerant as they had thought. Often they are so entrenched into their opinions that they are blind to the validity to the opposing view.